Would you like predictability in your projects? Would you like to deliver faster and with higher quality? Business agility is no longer a dream of revolutionary organizations, it’s the new requirement of the modern economy and free market. However, how do you get there? The key first step is transparency. 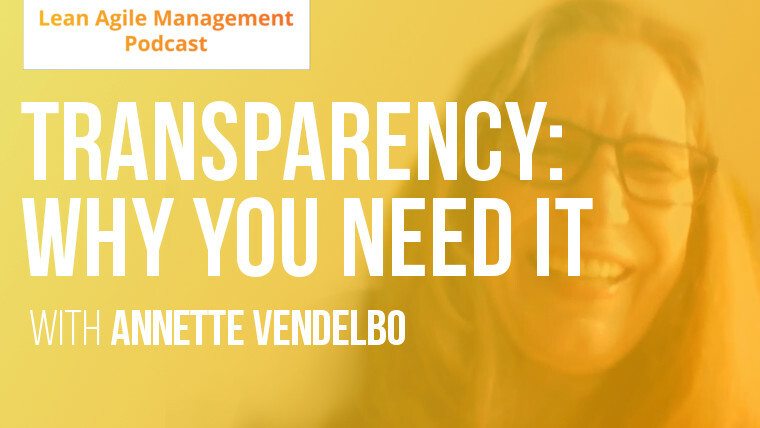 This time on the LAMP, we are talking to Annette Vendelbo about the need for higher organizational transparency in business. 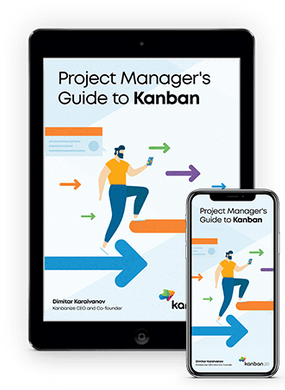 She is the director and founder of Xvoto, an accredited Kanban trainer and Agile coach, as well as a passionate public speaker on the topics of business agility and transparency. Annette has been deeply engaged in project management since 1995. She has been a member of the PMI Denmark Chapter board of directors since 2005 and was elected President in 2011. Her project management experience is acquired working in both private and public sectors, establishing the building blocks that ensure project success in both sectors given their different ecosystem. In this episode, Annette explains why transparency is a quintessential part a healthy organization and why it is an unavoidable step towards real business agility. Lean Agile Management Podcast (aka LAMP) is a show by Kanbanize where some of the brightest minds in Lean Agile management talk about how leaders can boost work efficiency, create a culture of high performance, and build teams that thrive. Can’t listen to the podcast now? Here is how Annette summarized the topic herself. Enjoy! When I work with clients to help them transform towards higher organizational agility I get lots of negative reactions to agile key principles. To many, these principles seem counterintuitive to their current way of working. But what disturbs the agile opponents the most is transparency, which is one of the fundamentals in e.g. Scrum and Kanban. And, by the way, a prerequisite for improvement. Even if most buy in to the idea that if you cannot see what happens in your system, i.e. your project, your department, your team, etc. you do not have a baseline for improvements and you cannot react sensibly and timely to whatever is disturbing the flow (=progress) in your system. I often experience that people resist showing what they are working on and how. This happens at the individual, the team, and the managerial level. But why? To cut a long story short, many don’t want to know and are afraid of discovering what is really going on, because when you get to see “bad stuff” in your system, it might point to something you or your team did or could do something about. It makes you responsible for reacting on what you discover and for not letting the “bad stuff” continue. Where does fear of transparency come from? If errors are not accepted in your company, you will most likely want to hide your mistakes. Transparency makes that impossible. If top-down management is the norm in your company, you are not expected to question the orders you get. Even if you can clearly see that they will lead in the wrong direction. Managers that thrive on this management style will work against transparency, as this would put a big finger on the sore spots of their decisions, strategies etc. If it is (silently) accepted in your company that not all employees are equally busy and that some do not assume responsibility or show leadership, then the not-so-busy colleagues will oppose to transparency. They don’t want to be “found out”. In any of these three situations, agile will probably not be the right choice anyway, so don’t waste your time and money. which are examples of some of the good things that an agile approach usually brings, you need to carefully think about and understand what is driving your wish for higher agility. Is it increased quality? Fewer people? Higher productivity? or?? And WHEN you know what is driving the decision, you need to decide what method can best get you to the desired end-point. Agile looks deceivingly simple, but…. Whether you will succeed in making Scrum, Kanban, SAFe etc. work in your context will depend on whether you succeed in changing the culture, old habits, and – not least – the mindset of the employees. You don’t put on an agile shirt on Monday morning, and “bang!” you are agile. Changing behavior is a big thing, and affect people on the personal level. Employees must change habits that might be 5-10-20 years old. This does not happen overnight. It takes practice, will, courage, and time. Once you know why you want higher agility and how you intend to get it, you need to train people. No matter how simple Scrum, Kanban, or SAFe looks on the surface, they are all quite complicated systems. Getting a new method to work requires training at all levels in the organization. Don’t fall into the trap of educating only a few Scrum Masters or Product Owners, or sending a few on a Kanban training course. A few people don’t stand a chance when it comes to changing a company’s culture, habits, etc. Agile systems only work when managers know how to interact with their agile teams, when business people understand the need for their availability for prioritization, direction, etc., and agile teams know what is expected from them. Going agile requires investments, stamina, and time. But the investments will be paid back many times, if only you have a bit of patience. So to sum up: Do go agile – it really works! – but do it consciously! Get the big picture and real work status across your project portfolio without digging through spreadsheets. 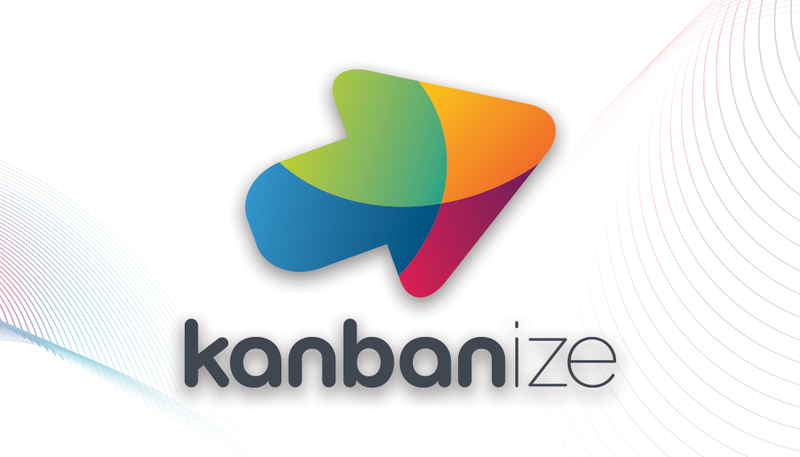 Kanbanize is built for visualization of work and collaboration across the whole organization with lean project management capabilities in mind. This entry was posted in Podcast and tagged business, business agility, expert interview, podcast on December 5, 2017 by Dima Moroz.